SALE! now $195, originally $395. Vintage large format harvest feast photograph, icrca 1970s. One of the first digital photos by Ron Nielsen, a renowned Chicago-area photographer. Completely mounted on board. 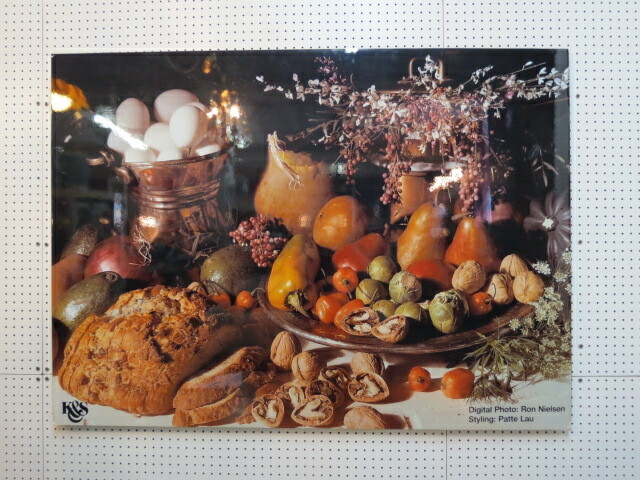 Photograph features bread, nuts, peppers, eggs, and other foods. Would be perfect for a kitchen or a restaurant. Signed. Excellent condition. 60" long, 1" wide, and 43.5" tall. Local delivery available. Call Lincoln Antique Mall for more info 773-848-3070. Located at 3115 W Irving Park Rd. Open Monday-Saturday 11-7, Sunday 12-6. 7500 square feet of vintage and antiques! Voted best antique store in Chicago. Like us on Facebook to see the newest arrivals. WE BUY vintage and antique furniture, chandelier. SALE! now $195, originally $395. Vintage large format harvest feast photograph, icrca 1970s. 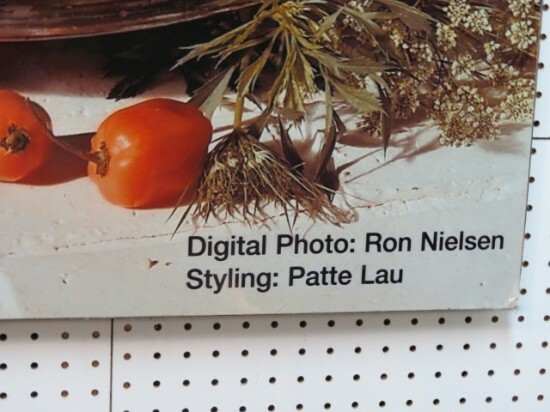 One of the first digital photos by Ron Nielsen, a renowned Chicago-area photographer. Completely mounted on board. Photograph features bread, nuts, peppers, eggs, and other foods. Would be perfect for a kitchen or a restaurant. Signed. Excellent condition. 60″ long, 1″ wide, and 43.5″ tall. Local delivery available. Call Lincoln Antique Mall for more info 773-848-3070. Located at 3115 W Irving Park Rd. Open Monday-Saturday 11-7, Sunday 12-6. 7500 square feet of vintage and antiques! Voted best antique store in Chicago. Like us on Facebook to see the newest arrivals. WE BUY vintage and antique furniture, chandelier.